In the event I have never mentioned it before, I love cast iron cookware. 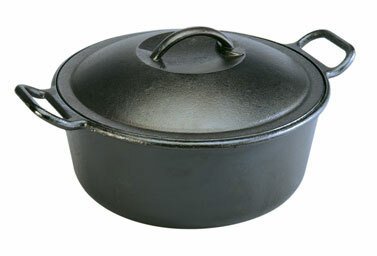 Cast iron cookware has been used for hundreds of years. Once you invest in a good quality cast iron piece of cookware, it should last for generations and generations. 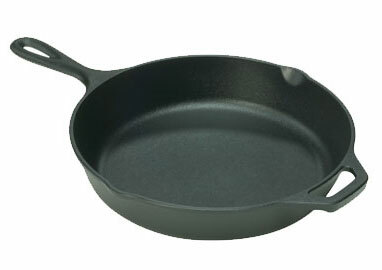 Known as the “original non-stick cookware” cast iron is a workhorse in the kitchen. You can fry, saute, boil, broil and bake in it. You can cook everything from scrambled eggs and steak to a dynamite berry cobbler in the pan. It makes the best cornbread on the planet. And it is pretty easy to clean up when you have a seasoned pan. The seasoning process results in a stick-resistant coating of polymerized fat and oil on the surface. Some pans come pre-seasoned, some you season yourself, but it is really pretty simple. Once you’ve got that seasoned finish on your pan, watch out, it will cook like nobody’s business. Not even the most expensive stainless and aluminum cookware can rival the even heating, heat retention, durability and value of cast iron. The brand I like the best is Lodge Cast Iron. My love affair with cast iron started back in my college days. I don’t remember where it came from, but someone unearthed an old rusty 8-inch Lodge Cast Iron skillet when I was packing up my meager belongings. One of the industrious men in the family sand-blasted off the rust, my mom seasoned the pan and I was set. I still have that skillet and the more I use it, the more I love it. My brother Kim was always digging around in old junk finding treasures and found a rusted 9-inch Lodge skillet which again went through the sand-blasting and seasoning process and became mine between my return from college and my move to Arizona for an internship. By the time I ventured home from sunny Arizona, a rusty Lodge dutch oven had been discovered somewhere and I begged for it. I hate to tell you the sad demise this set met. I’m not exactly sure the entire story will ever be discovered but it involved my nephew, his friends, a large campfire, and I don’t want to know what else. I take full blame. Who, with any sense in their head, turns over a favorite cooking tool to the care of a bunch of teen-aged boys heading out on a camping trip? I never saw the dutch oven again. 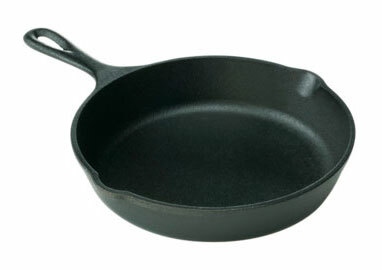 So to compensate for it, Hubby purchased me a 15″ Lodge Cast Iron skillet. I call this one Big Bertha. Fully loaded it takes arms of steel to move it from stove to counter top. Hello, Captain Cavedweller, that’s why I keep you around, you know! Through the years I’ve acquired a number of other skillets and pieces of cookware. I have some stainless steel pieces I adore and wouldn’t part with for anything, unless of course it meant I would have to give up my cast iron. If you haven’t tried cast iron, give it a whirl. You can purchase pieces nearly anywhere household items are sold from Wal-Mart to Macy’s to Amazon. Just make sure you purchase a piece made by a reputable company and not a knock-off. You can’t go wrong with a piece of Lodge Cast Iron. Already a cast iron fan? I’d love to hear what you enjoy most about it or one of your favorite things to make using your cast iron cookware! P.S. This is not a paid advertisement for Lodge Cast Iron. 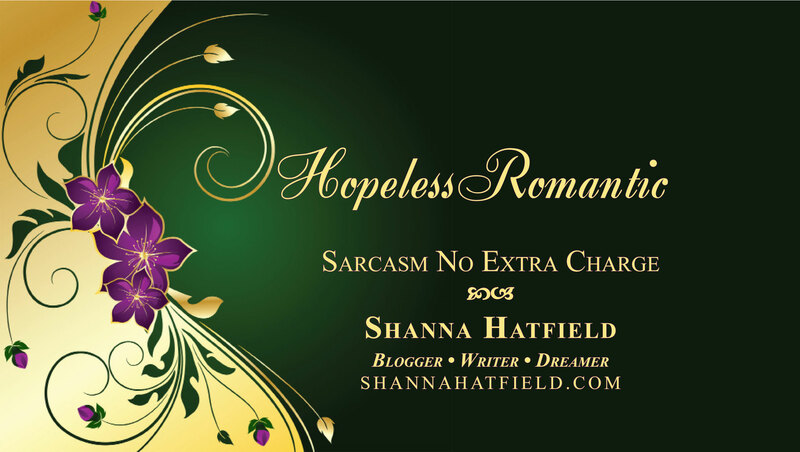 They have never heard of me, don’t have a clue who I am and do not endorse my ramblings at all. Over and out.